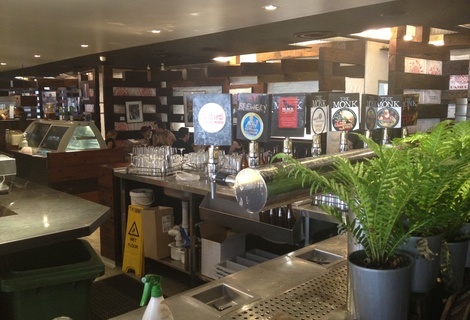 Delicious in-house brewed beers in a great central Freo location. 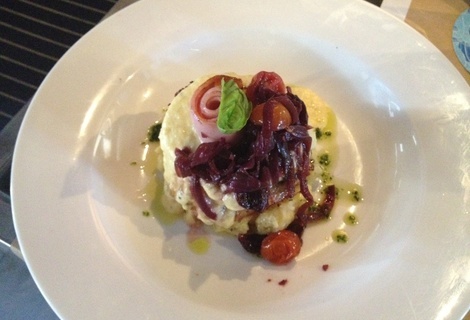 The Monk was reviewed on Saturday 10th November 2012 13:00 by Richard. In the spirit of being upfront and honest, I will admit that we did break one of our rules when we reviewed The Monk Brewery & Kitchen in Fremantle. Technically it’s licensed as a restaurant not a bar/pub, however, they do brew their own beer, very delicious beer in fact so that’s got to count for something. We headed down to Freo on a sunny Saturday afternoon for a bite to eat and a beer or two. Seeing as I’ve been past The Monk a dozen or so times (mostly on the way to/from The Norfolk down the road) but never actually been inside, I thought it’d be a good opportunity to finally check it out. There’s a decent size outside area overlooking the bustling South Terrace but due to a lack of shade we chose to sit inside to get out of the glaring mid-afternoon sun. The Monk’s interior is great, at the heart of the building is a glass encased micro-brewery, where they produce a small selection of award winning handcrafted beers. 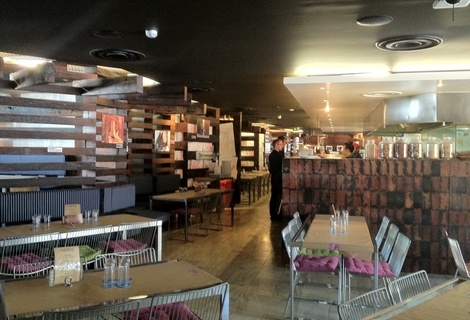 The brewery is surrounded by the kitchen at the back and the bar towards the front. In typical Freo fashion, the whole inside has an old rustic feel to it with dim albeit classy lighting and a bunch of old recycled railway sleepers separating out the different secluded dining areas. Service right off the bat was great, staff were laid back, efficient and very friendly, full table service was offered and the guy that served us made some solid beer recommendations. I’m massively into Kolschs at the moment and The Monk’s Kolsch was exceptional, a perfect ale in a lager-like disguise, nice and strong with no heavy ale aftertaste and at 10 bucks a pint it was great value. We were quite hungry so ordered our food straight away. I ordered the steak with lobster and Matt got the Grilled Turkey with Honey Cured Ham. The food came out within half an hour even though we were told it could be up to 45 minutes which was a nice surprise. The food looked and smelled great when it was served and had we been rating it on smell and presentation it probably would have got high marks. Unfortunately my steak was slightly overcooked, I ordered it medium but it was closer to well done. Not a huge deal because the steak still tasted great and wasn’t as dry as I was expecting. However the mash was about the same temperature as my beer (cold) and the lobster was drastically undercooked – to the point I was googling “can undercooked lobster kill you” on the way home. Matt’s was not a whole lot better than mine, his was also stone cold and the Honey Cured Ham that was advertised on the menu was a disappointingly small strip of coiled up ham atop the cold turkey. 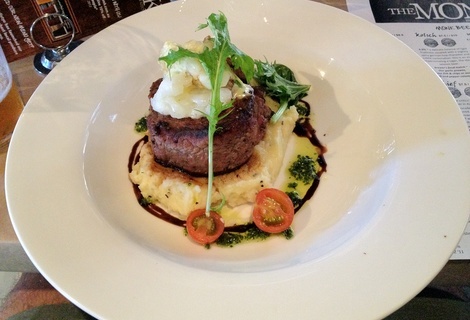 The annoying thing about the food was it had the potential to be good, the underlying flavours/quality of ingredients were up to scratch, it was just the cooking time (for the steak/lobster) and the serving temperature (for the turkey/mash) that made both meals miss the mark. We were left feeling fairly disappointed especially since the day was off to such a good start with the great service and fantastic beer. Considering the state of our meals I wouldn’t say that the overall value was great. Food prices were on the higher side of the spectrum and if the food had delivered they would’ve been more than justifiable. I would definitely return to The Monk for another one of their beers but food-wise I would probably go with a safer pub standard option, like fish and chips or a steak sanga. 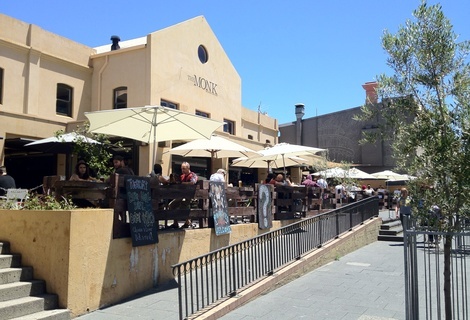 8/10Sail & Anchor Tavern in Fremantle, WA (62m away)Arguably Perth’s best beer venue – huge range of local, national and international craft beers.